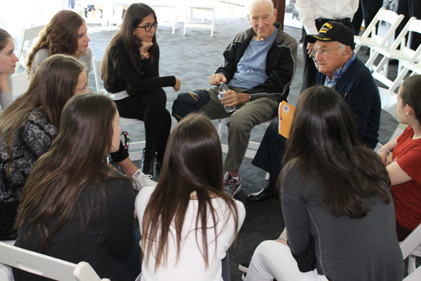 Students of Professor John Bailly’s Study Abroad course had an hour-long meet-and-greet session with WWII Veterans in an open discussion format on Feb. 12, 2016. More than 30 students of ISPA joined them at FIU for this very special educational session. An Award ceremony honoring 6 WWII American followed at the Frost Art Museum. Interaction session Veterans/students at Florida International University.